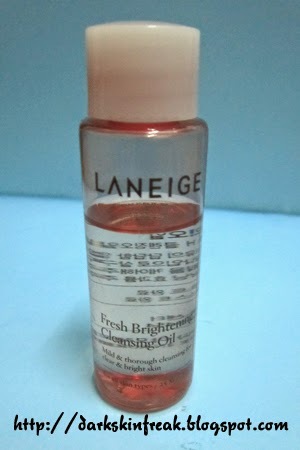 Hey beauties, I got this face cleanser as a free gift when I bought Nano White Omega Day Shield SPF 50++ Skin Colour suncreen. This deep purifying cleanser infused with Happy Dermatology & Nano Technology contains fine particles of natural sea clay to cleanse impurities trapped within the pores. 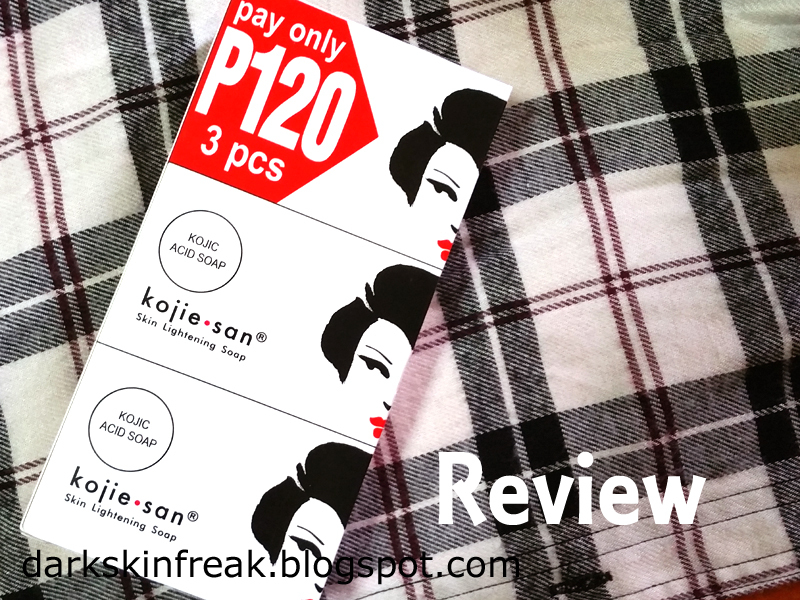 It smoothens uneven patches and boosts skin renewal for a fairer and crystal clear complexion. It comes in a simple tube. Water, Glycerin, Myristic Acid, Sodium Methyl Cocoyl Taurate, Palmic Acid, Stearic Acid, Potassium Hydroxide, Tanakura Clay, Glyceryl Stearate, PEG-100 Stearate, Lauramide DEA, Butylene Glycol, PEG-150 Distearate, PEG-75, Decyl Glucoside, Beeswax, Fragrance, Ascorbyl Glucoside, Vitex Agnus Castus Extract, Ascorbyl Tetraisopalmitate, Tocopherol, Caprylic/ Capric Triglyceride, Cyclodextrin, Arbutin, Glutathione, Terasodium EDTA, Methylparaben, Propylparaben, Butyparaben, BHT. It's white and has a lot of beads in it and it's more of a scrub than a regular cleanser. The beads are not really harsh but harsh enough if used twice a day, everyday. Apply to face and neck. Massage gently. Rinse off and pat dry. 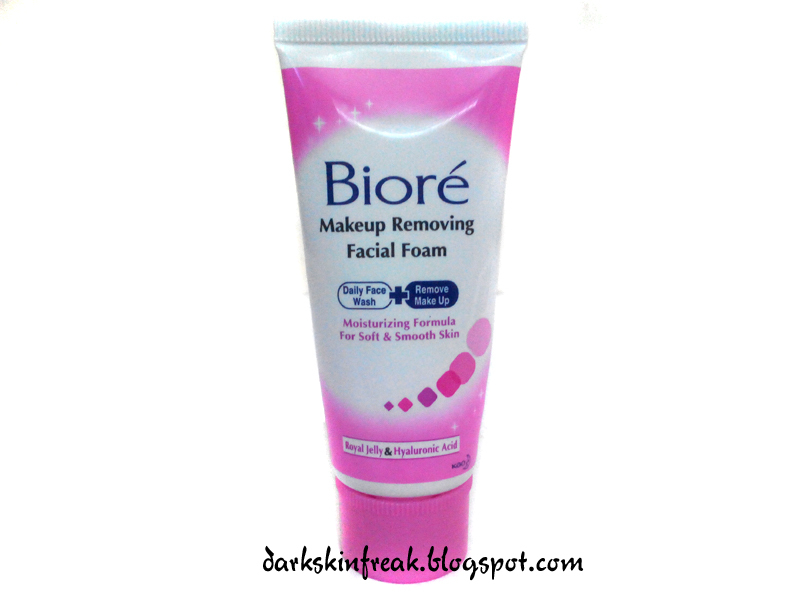 For normal and oily skin. Since its too harsh if used regularly, I use it every 2 days. 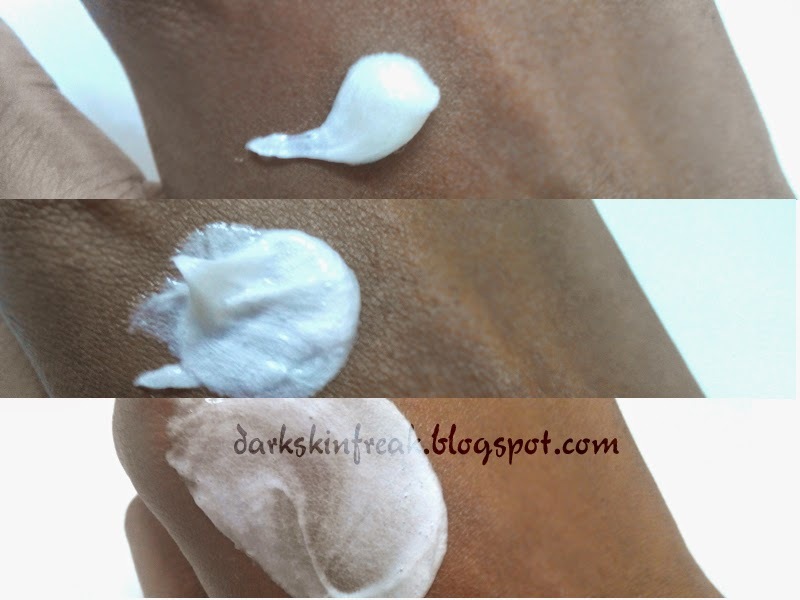 I have combination skin but its too drying for the dry parts of my skin. This cleanser contains clay so it would be more suitable for oily skinned folks. My face does feel very clean after using this. And yay it didn't break me out. Hello, everyone. This time I'm going to review the Tony Moly Clean Dew Seed Foam Cleanser. The brilliant cleansing care system brings strong vital power of fresh 3 seeds with dewy water. This dewy cleanser is filled with lemon extract and 10 seeds extract which not only refreshes but whitens skin through continues use. It comes in huge tube. Water, Palmitic Acid, Stearic Acid, Glycerin, Muristic Acid, Sodium Laureth Sulfate, Potassium Hydroxide, Lauric Acid, Cocamide MEA, SorbitanOlivate, Allantoin, Panthenol, Disodium EDTA, Citrus Limon (Lemon) Fruit Extract, Butylene Glycol, ChrysanthellumIndicum Extract, PerillaFrutescens Leaf Extract, AgastacheRugosa Extract, PinusDensiflora Leaf Extract, MenthaArvensis Leaf Extract, CinnamomumZeylanicum Bark Extract, Atractyloides Japonica Rhizome Extract, AstragalusMembranaceus Root Extract, CnidiumOfficinale Root Extract, Angelica Gigas Root Extract, SaurususChinensis Extract, Forsythia Suspensa Fruit Extract, Artemisia Capillaris Flower Extract, PinusKoraiensis Seed Extract, HoveniaDulcis Fruit Extract, ThujaOrientalis Seed Extract, Ginkgo Biloba Nut Extract, MyrciariaDubia Seed Extract, Terminalia Ferdinandiana Seed Extract, Coffea Arabica (Coffee) Seed Extract, AleuritesMoluccana Seed Extract, Methylparaben, Propylparaben, CI 19140, Perfume. It’s creamy and has a nice refreshing lemon scent. When washing your face, work into lather, and gently massage into the face, then rinse off with lukewarm water. It works great. It cleanses my face really well. Love the lemon scent. It doesn’t remove much makeup though. It also did not break me out. I don’t remember the price but it was less than RM 20. Hey guys! What's up? 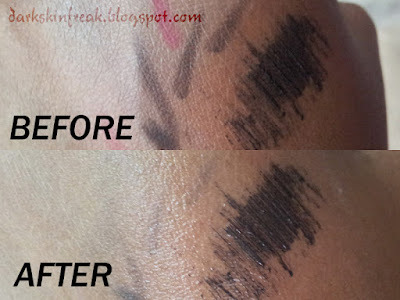 So, many of us wear makeup on daily basis and makeup remover can be a little costly sometimes, and sometimes, they just don't remove makeup efficiently. There's also some of us who rarely use makeup. So purchasing makeup remover would be kinda, umm wasting money, I guess. And there's some of us who just need a quick cleansing when we run out of our makeup remover. So here's some tips of what you can do to remove your makeup without using any makeup remover. You can use all kinds of oil as long they don’t clog your pores. You can use oils such as jojoba oil, grapeseed oil, mineral oil, olive oil, castor oil, almond oil and coconut oil. You can also use baby oil to remove makeup. 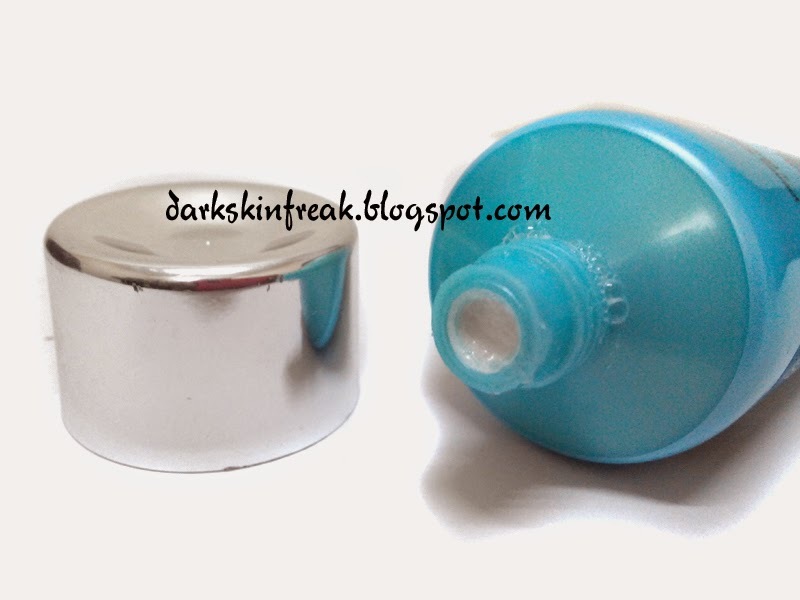 You can also use body butter such as shea butter to remove makeup. Don't worry, shea butter does not clog your pores. 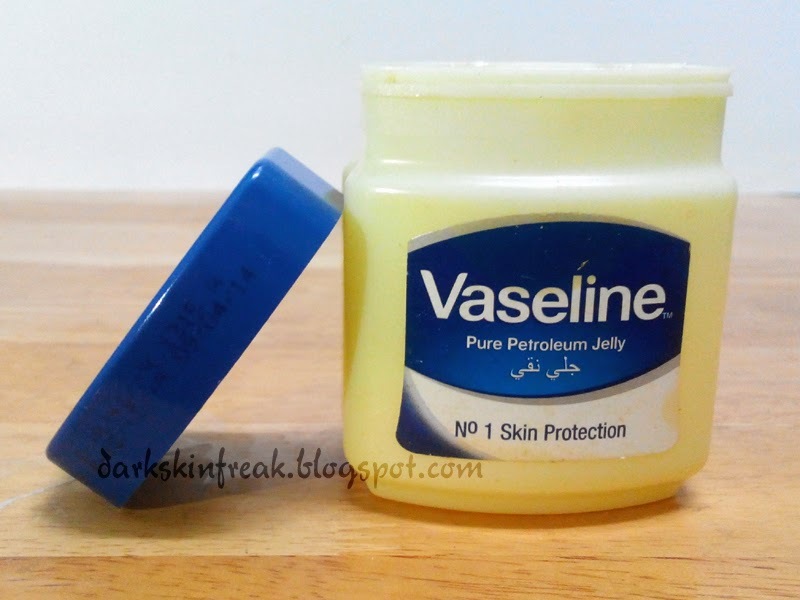 Petroleum jelly can remove makeup really well. Just keep in mind that it can clog pores. 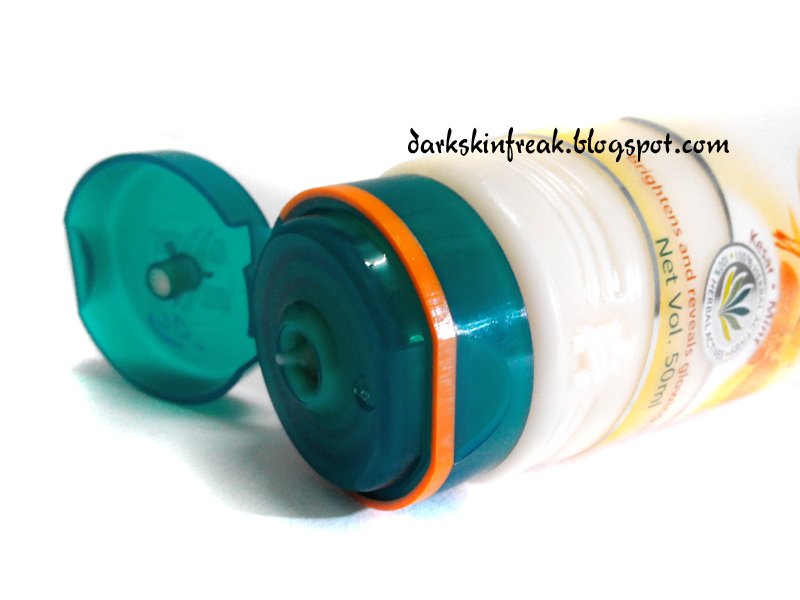 I used it to remove eye makeup once and it clogged my lower eyelid. My eye was swollen for nearly 2 weeks even when I took medication for it. You can use baby wipes and any other types of facial wipes. 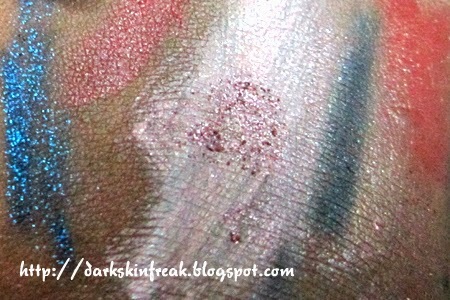 Just wipe over makeup gently. Don’t rub on your face. Just don't. Some people even use shortening to remove makeup. Does it clog pores? No idea. Yup, cold cream definitely works! Baby shampoo can be used to remove makeup as well. No tears baby shampoo can remove makeup without stinging your eyes. Hey guys. This time I would do a review from my sister! She just bought this product and she loves it. And yeah, she also wants me to share with you guys about how she feels about this cleanser. 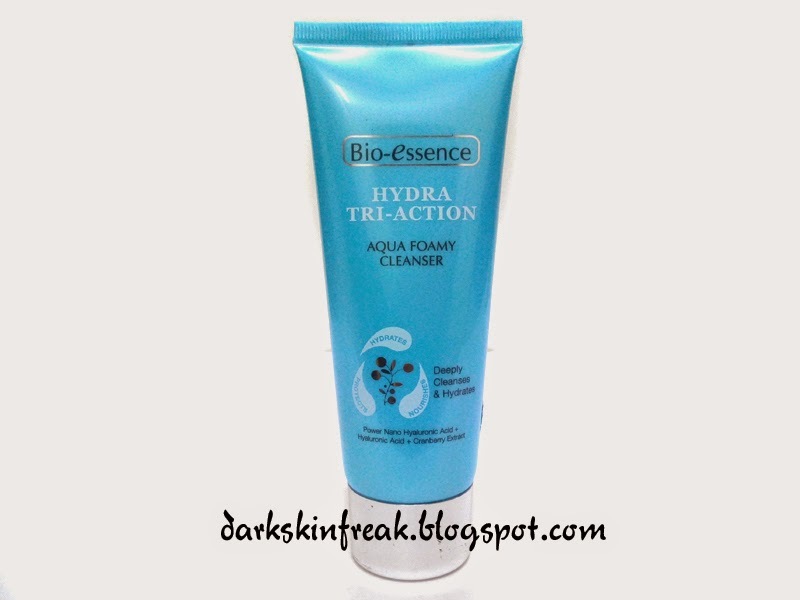 Bio Essence Hydra Tri-Action Aqua Foamy Cleanser is a rich foam formula which deeply cleanses and refreshes the skin. Enriched with 2 types of Hyaluronic acid (Power Nano Hyaluronic Acid & Hyaluronic Acid) to replenish and lock-in moisture, providing skin with non-stop hydration. Infused with Bio Energy Fluid, this cleanser deeply nourishes kin while cleansing. After wash, skin feel soft and fresh without any feeling of tightness. 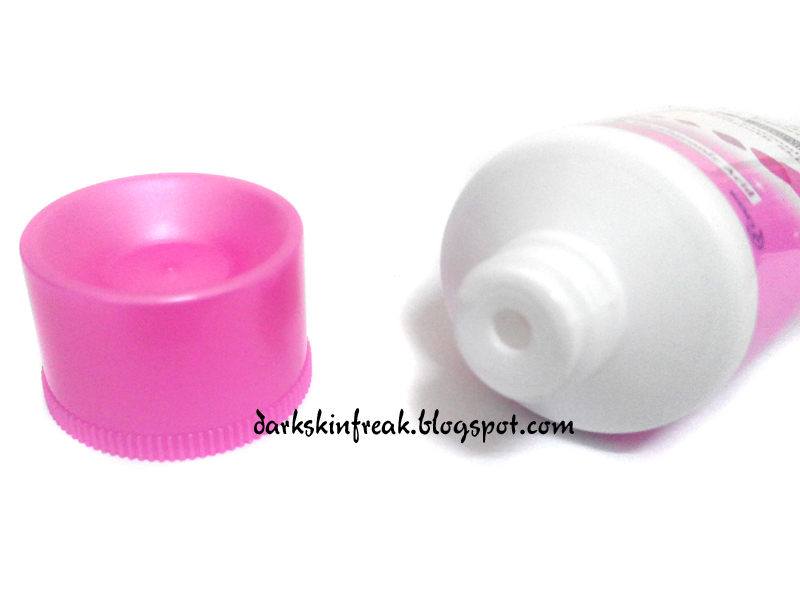 With cranberry extracts to moisturize skin, for a radiant smooth complexion. 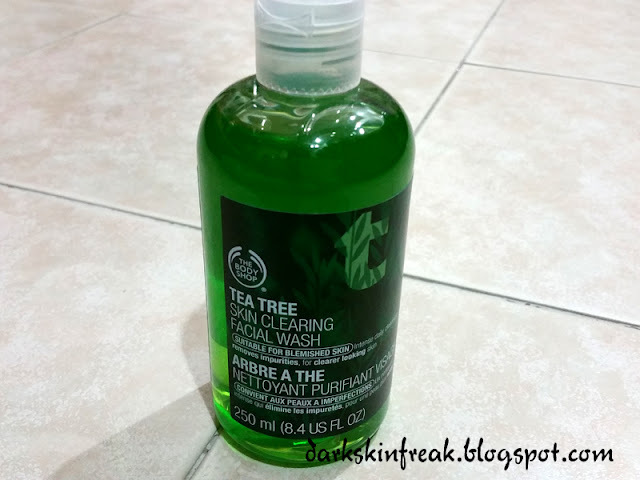 Leaves skin moist and smooth without stripping away skin’s natural moisture. It comes in a plastic blue tube. Water, Glycerin, Stearic Acid, Myristic Acid, Palmitic Acid, Lauric Acid, TEA-Lauroyl Collagen Amino Acids, Potassium Hydroxide, Glycol Stearate, Ceteareth-25, Glyceryl Stearate, Polyquaternium-43, Licorice Root Extract, Oldenlandia Diffusa Extract, Limonia Acidissima Extract, Hydroxyethylcellulose, Disodium EDTA,Cranberry Seed Oil, BHA, Sodium Chloride, 1,2-Hexanediol, Betaine, Methylpropanodiol, Allantoin, Sodium Hyaluronate, Hyaluronic Acid, Fragrance, Sodium Oxide, Calcium Oxide, Magnesium Oxide, Phenoxyethanol, Methylsothiazolinone, Methylparaben, Propylparaben. 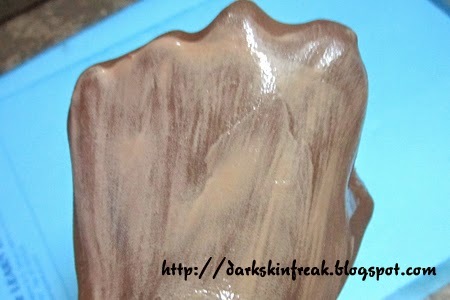 Squeeze a sufficient amount onto palm & lather with water. Massage in circular motions onto face. Rinse off thoroughly with water. It has a mild, fresh and crisp fragrance. The product is very thick and creamy. She has dry skin. 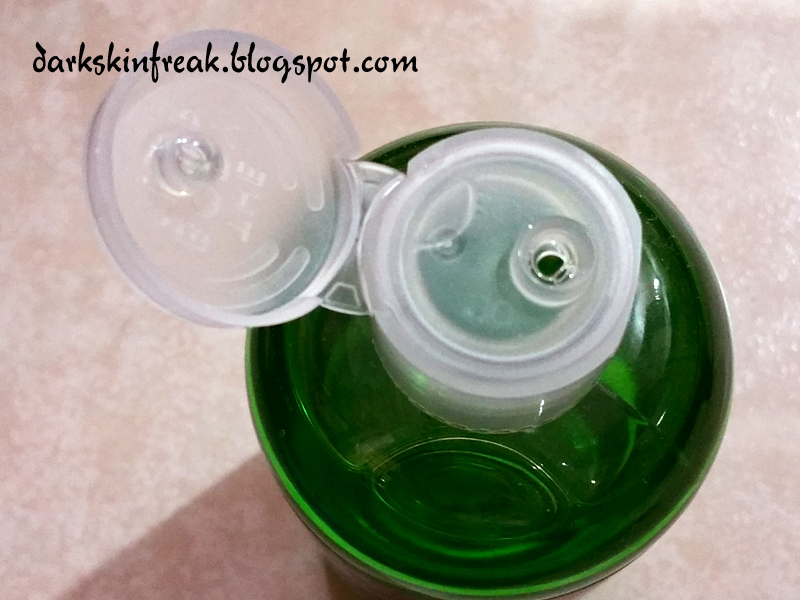 Well, Bio Essence Hydra Tri-Action Aqua Foamy Cleanser delivers what it claims. She feels that her skin does not get tight as usual. 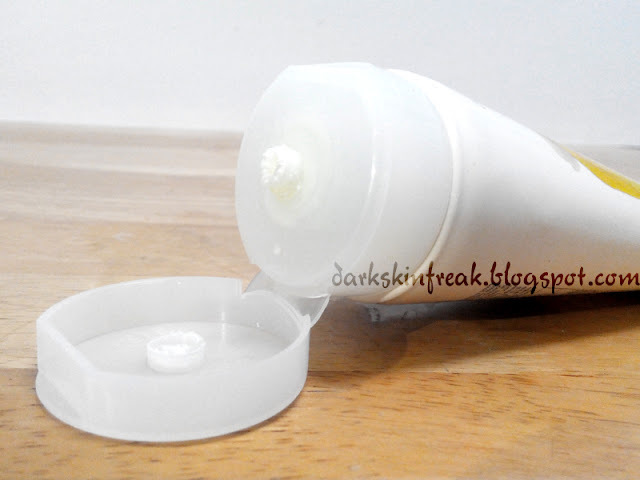 This cleanser left her face moist and hydrated. This cleanser also makes her face feel fresh. Other than that, the texture is creamy and thick, more like a cream cleanser. She’s totally in love it. Unfortunately, according to Cosdna, this product contains a number of ingredients that are harmful in long term usage and it also contains potential acne triggers. I would not recommend anyone with sensitive skin or acne prone skin to use it. According to Cosdna, this product contains a number of ingredients that are harmful in long term usage and it also contains potential acne triggers. 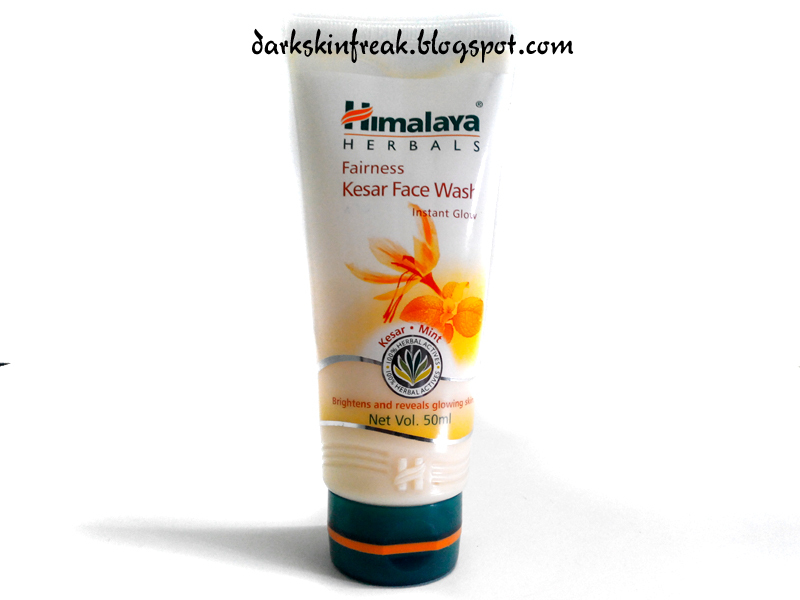 A soap-free, herbal formulation, Fairness Kesar Face Wash brightens and reveals glowing skin. Enriched with Kesar, proven for its complexion enhancing properties, this face wash gives you a fairer and clearer complexion. Pomergranate nourishes while Mint cools and cucumber soothes your skin, leaving it refreshed. 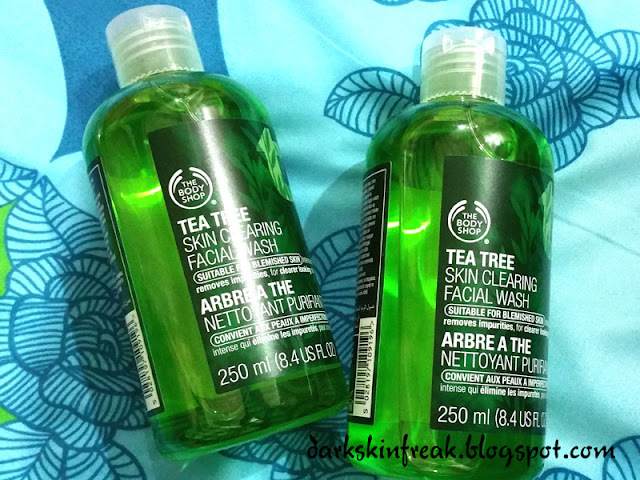 Use regularly for clean, fresh glowing skin. It comes in a tube container. The texture is somehow vacuous yet creamy. 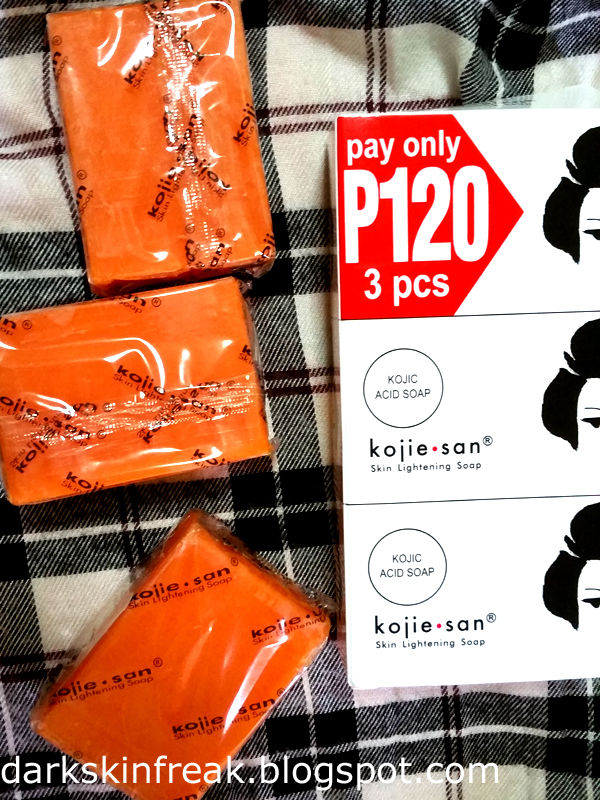 Moisten face and neck; apply a small amount of Fairness Kesae Face wash and gently work up a lather using a circular motion. 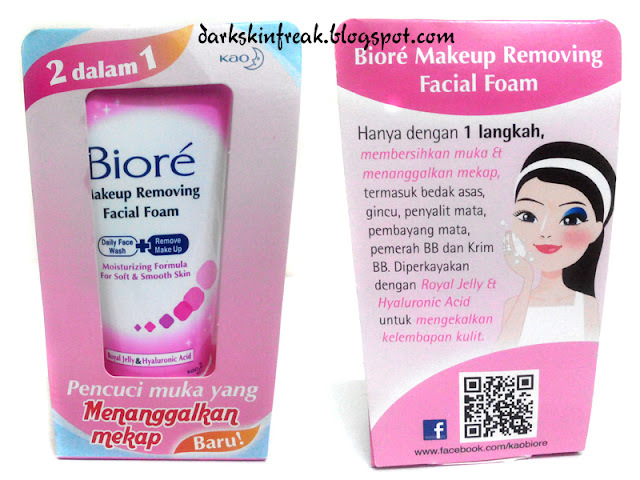 Follow with Himalya Face Moiturizing Lotion. Use Himalayas Fairness Cream with this product regularly for best results. Great cleanser. It cleans my face well and it feels squeaky clean! It didn’t break me out as well. It also did not dry my skin too much. I can’t see the brightening effect though, but my skin did glow a little. Good morning peeps! 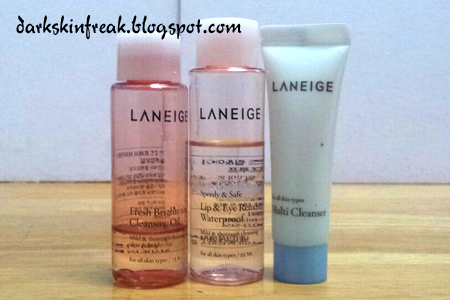 I am looking for a great product to remove makeup and I came across Laneige Cleansing Trial Kit. So here's my review. 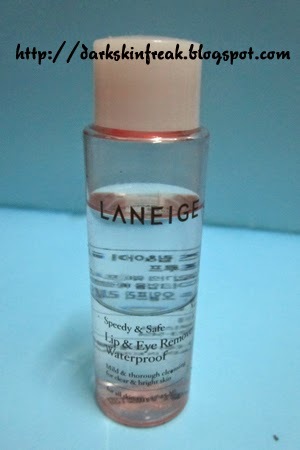 Laneige Lip & Eye Remover Waterproof is basically an oil-free remover that quickly and gently removes waterproof/heavy makeup around the eyes and lips. 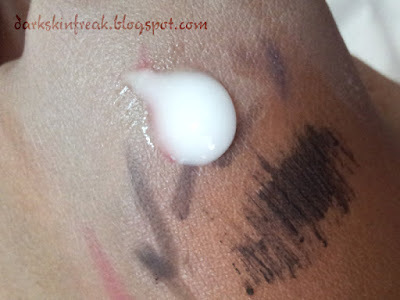 Apply onto cotton ball and place on eye or lip for five seconds to melt the makeup. 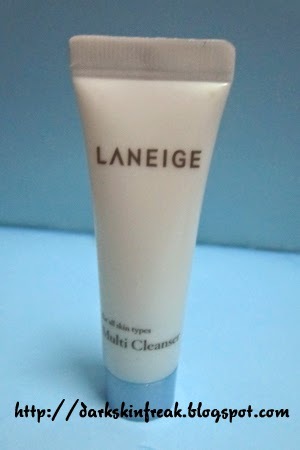 Laneige Multi Cleanser is papain enzymes-based multi cleanser with 4 functions. Micro-sized dense foam removes makeup completely leaving fresh feeling. Wet face and then release about a coin-sized amount of cleanser to massage onto face and melt makeup. The foam is usually white. Light cleansing oil containing apricot seed oil that takes care of dead skin cells, creating a brightening effect without heavy feeling. Grapefruit and apricot seed are oils full of vitamin C and natural salicylic acid, which removes dead skin cells, restoring your original, pure skin while alleviating skin reddening. Wash-off elements that are water-friendlier ensure quick, light wash.
Gypsophila paniculata root extract, a natural cleanser, mildly yet thoroughly washes off even the heaviest makeup. Free of mineral oil that blocks your pores - a non-stimulating cleansing experience. The texture is runny & watery.